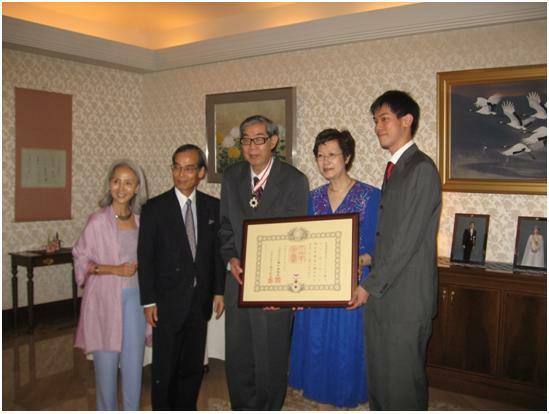 In April 2010, “The Order of the Rising Sun, Gold Rays with Neck Ribbon（旭日中綬章：きょくじつちゅうじゅしょう）” was conferred upon Dr. Lee Poh Ping, Senior Research Fellow of Institute of China Studies at University of Malaya and President of Malaysian Association of Japanese Studies (MAJAS), by His Majesty the Emperor of Japan. 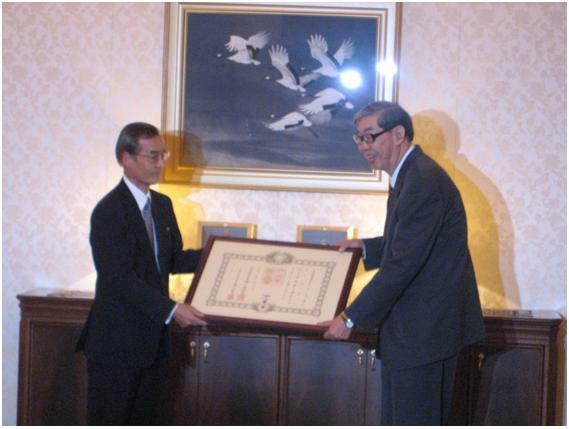 The Japanese decoration was bestowed in recognition of his contribution to the development of Japanese Studies and the advancement of understanding of Japan in Malaysia, and to the promotion of intellectual exchange between Japan and Malaysia. The ceremony to present the decoration was held on 20 July 2010 at the Residence of H.E. Ambassador Mr. Masahiko Horie in Kuala Lumpur.